Biography: Born May 25, 1949 in Ashgabat. Graduated from the Department of Journalism of Moscow State University in 1971. From 1983 to 1986, studied at the iplomatic Academy of the Ministry for Foreign Affairs of the USSR. Between 1971 and 1992, held journalistic and diplomatic positions at the Novosti Information Agency and the Ministry of Foreign Affairs of the USSR. Worked in Pakistan and India. Since the beginning of 1992, worked for Novosti Russian Information Agency in India. In May 1992, recalled by the government of Turkmenistan. From May 21, 1992 – Deputy Minister of Foreign Affairs of Turkmenistan. From July 6, 1992 – First Deputy Minister of Foreign Affairs. From January 7, 1993 – Deputy Chairman of the Cabinet of Ministers of Turkmenistan (responsible for science, education, health and foreign policy; and from March 1994 – for issues of foreign affairs, armed forces and law enforcement agencies.) Between 1994 and March 1995, he was also simultaneously the Chairman of the State Commission on logistics of the defense complex of Turkmenistan and Deputy Chairman of the Council of the Defense and National Security of Turkmenistan. From January 6, 1995 – Deputy Chairman of the Cabinet of Ministers and Minister of Foreign Affairs of Turkmenistan. From January 8, 1999 – Minister of Foreign Affairs of Turkmenistan. From July 28, 2000 – Ambassador-at-large, Special Representative of the President for Caspian issues and settlement in Afghanistan. At the same time – Rector of the National Institute of Sports and Tourism of Turkmenistan and President of the National Olympic Committee. From March 11, 2001, to October 30, 2001 – Ambassador to the People’s Republic of China. From 1999 to early 2001, Mr. Shikhmuradov repeatedly asked to resign. In 2001, a criminal case was opened against him with charges of doing damage to the state for more than 30 million USD from illegal sales of arms and financial violations in the Ministry of Foreign Affairs. On October 11, 2001, he flew to Moscow, where on November 1, 2001, he announced the creation of an opposition People’s Democratic Movement of Turkmenistan. In November 2001, he went to Turkey where he stayed for a year. In November 2002, he flew from Istanbul to Uzbekistan, from where he illegally entered Lebap Province of Turkmenistan, and then arrived in Ashgabat. Has Russian and possibly Turkmen citizenship. Elder brother of Konstantin Shikhmuradov. Arrest and conviction: Declared wanted in late November 2002. Hiding in Ashgabat for about a month. Arrested on December 25, 2002. Charged with organizing the coup attempt on November 25, 2002. The video of his “confession” was broadcast on TV on December 29, 2002. Subjected to torture. Had only one meeting with his lawyer, Victoria Bagdasaryan, before the trial. The indictment was handed down on December 27, 2002, and written in the Turkmen language, which neither Shikhmuradov nor Bagdasaryan spoke. Convicted on December 29, 2002, by the Supreme Court of Turkmenistan under Art.14-101 p. 2 s. “a,” “b,” “f,” “g,” “h,” “i,” “l”; 169 p. 1, 2; 174 p. 2; 176 p. 1; 181 p. 2; 182 p. 2 s. “d”; 187; 195 p. 1; 214 p. 2; 218 p. 1, 2, 3; 229 p. 4 s. “a”; 231 p. 4 s. “a,” “b”; 235 p. 2 s. “a,” “b”; 242 p. 2 s. “b,” “c”; 254 p. 3, p. 4 s. “a”, “b”, “c”; 271 p. 3; 273 p. 1; 275 p. 1; 287 p. 2 (3? ); 291 p. 3 of the CCT. Sentenced to 25 years of imprisonment (5 years in prison, the rest in a strict security colony) with confiscation of property, further settlement in a designated area for 5 years and prohibited from holding financially responsible and leading management positions for 3 years after release. The lawyer refused to see family members after the trial. On December 30, 2002, by a unanimous decision of the People’s Council (Halk Maslahaty), the then highest legislative body in Turkmenistan, Boris Shikhmuradov was sentenced to life imprisonment (this punishment was absent in the Turkmen law). Current situation: Until the middle or end of 2003, he was held in isolation in a detention center of MNS in Ashgabat. Further information about his fate in unavailable. According to an unconfirmed report, in 2005 he was held in the prison in the city of Turkmenbashi. There have been repeated rumors about his death in custody; however, there is no reliable information available. Thus, in May 2009 Amnesty International referred to unconfirmed information about death of Boris Shikhmuradov. 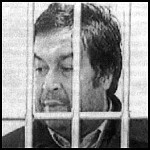 In August 2009, an article in the “Gara kurt” blog reported on rumors stating that Boris Shikhmuradov was killed in Ovadan Depe prison three days after the death of Niyazov in December 2006. According to another version, he died in Ovadan Depe in December 2006, not long before the death of Niyazov. President Berdymukhamedov, during a visit to Columbia University on September 24, 2007, answering a question about the fate of Boris Shikhmuradov and Batyr Berdyev, said, “I am sure that these people are still alive” (http://www.fergananews.com/news.php?id=7191). This has been the only public statement on the fate of Boris Shikhmuradov by the Turkmen authorities. On October 17, 2014, the UN Human Rights Committee issued its view regarding violation of the rights of Boris Shikhmuradov, having reviewed a complaint filed by his wife, Tatiana Shikhmuradova. The Committee determined that Shikhmuradov is the victim of an enforced disappearance and that the government of Turkmenistan failed to protect Boris Shikhmuradov’s life, violated his right to be free from torture, his right to a fair trial, and his right not to be subject to a retroactive penalty. The Committee also found that the government violated Tatiana Shikhmuradova’s right to be free from torture, in light of the suffering she has endured due to the long-term lack of information about her husband. The Committee decided that the government of Turkmenistan is obligated to provide a remedy to Boris Shikhmuradov, including by immediately releasing him and granting him just compensation, or, in the event that he has died, by giving Shikhmuradov’s remains to his family, and that the family should be compensated. Regrettably, neither the UN Committee nor Shikhmuradov’s family have received any response from the government of Turkmenistan, in violation of the Committee’s procedures.